Quite a solid album, there was nothing on here I didn't enjoy and some very good tracks, with the highlight surprisingly being the ridiculously long song. 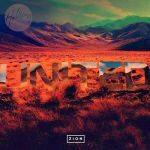 I liked this more than the only other Hillsong album I've heard. I'd do anything to make them go away forever.